At conferences on spirituality and healing in medicine, doctors are reporting the positive effects of faith and prayer on healing and wellness through studies and personal observation. The clinical studies can measure the effects of what is happening. What they cannot measure is God’s grace, which comes to us in many ways to heal, sanctify and comfort . The essential sacrament of “ healing “ is baptism, which frees us from the grasp of death through a birth to eternal life. This is what ultimately heals us in the sense that sin can longer harm or destroy us. The anointing of the sick is not necessary for one to get to heaven. In fact, many Catholics never receive it. But it does channel God’s healing grace to us in a special way to help us in our moments of weakness. It protects us from despair and offers the consolation of God’s loving providence through the prayers of the church and the ministry of the priest. That is power beyond measuring ! The Anointing of the Sick is a sacrament for the sick, with a prayer for healing, not a sacrament for those close to death ( that’s viaticum - Communion “ on the way “). If you’re chronically ill, anticipating surgery, or in a hospital or nursing home, ask your parish priest for this healing grace. Loving and compassionate God, when your Son walked this earth he extended his healing hand toward the sick and cured those afflicted with every disease. We turn to you now in our need and ask you to care for those who are ill. Protect those who face surgery, and watch over those held bound by infirmity. Through the power of your healing love, free from every disease and sufferingthose who are beset by poor health. Guide with your wisdom all who provide care, and assist doctors, nurses, and medical workers so that they may effectively relieve suffering and bring health to all whom they treat. to get to heaven ? 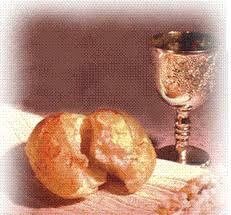 Extraordinary Ministers of Holy Communion are available to bring Communion to those who are unable to attend Mass. Please call the office at 716-283-2238 or email info@stjohndelasalle.org for more information.